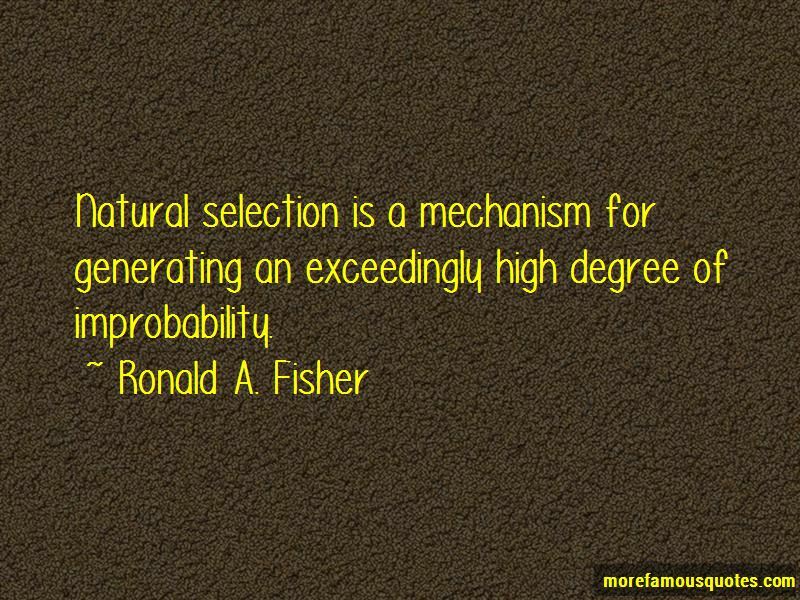 Enjoy the top 2 famous quotes, sayings and quotations by Ronald A. Fisher. 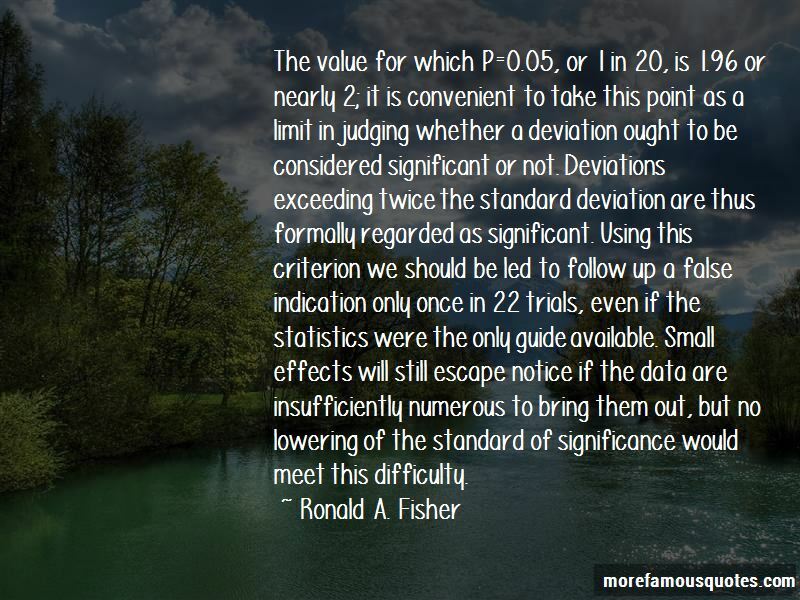 The value for which P=0.05, or 1 in 20, is 1.96 or nearly 2; it is convenient to take this point as a limit in judging whether a deviation ought to be considered significant or not. Deviations exceeding twice the standard deviation are thus formally regarded as significant. Using this criterion we should be led to follow up a false indication only once in 22 trials, even if the statistics were the only guide available. Small effects will still escape notice if the data are insufficiently numerous to bring them out, but no lowering of the standard of significance would meet this difficulty. Want to see more pictures of Ronald A. Fisher quotes? Click on image of Ronald A. Fisher quotes to view full size.